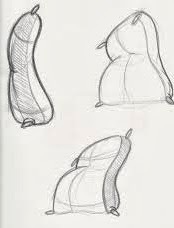 The Flour Sack was a popular as an animation test at the Disney studio in the 1930s because it was more organic in movement than a bouncing ball, focusing more attention to weight, overlapping action and how the sack changes shape over time. Its also forces you to think about timing and how to make this object move realistically in animation. This project will be a little more interesting than animating different types of ball bounces, however you will find yourself using the same animation principles thru out. Your task is to animate a sack of flour or grain sitting on a shelf, table, etc and falling off of it. The sack can fall by itself or maybe something that gives it a push to get it started. Here are a few examples of a Sack falling down and hitting the floor. As you can see, you can have it fall down in a number of ways, but for this assignment, its just a fall and reaction. There are no details like a face, no arms or legs to worry about. 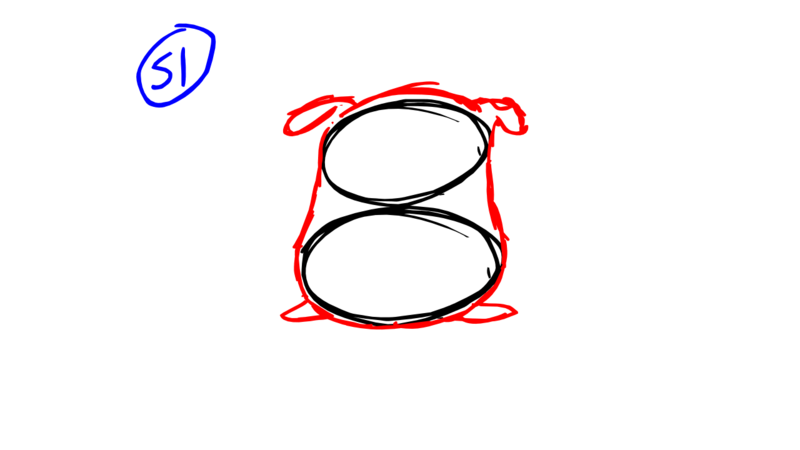 Its just a simple sack shape which you have to figure out how to animate. Here are few Flour Sack animations dealing with more motion and emotion. For this exercise, You need to put a little more thought into this project than a bouncing ball or floating balloon. This project requires you to animate a sack of flour which falls and react when it hits the floor. You can start your animation with the sack sitting there quietly and then slowly slumps into its fall. Or you can come up with a simple clever way of motivating the sack into motion. Think of all the possiblites and pick one that you like. I would suggest making thumbnail drawings of your main actions to create a rough storyboard before you begin animating. This will help you figure out the framing, the background layout and give you a rough idea of what you will need to animate. You can also show it to others to get their feedback before you begin. All of the action will happen in one shot, no cut away or camera moves. 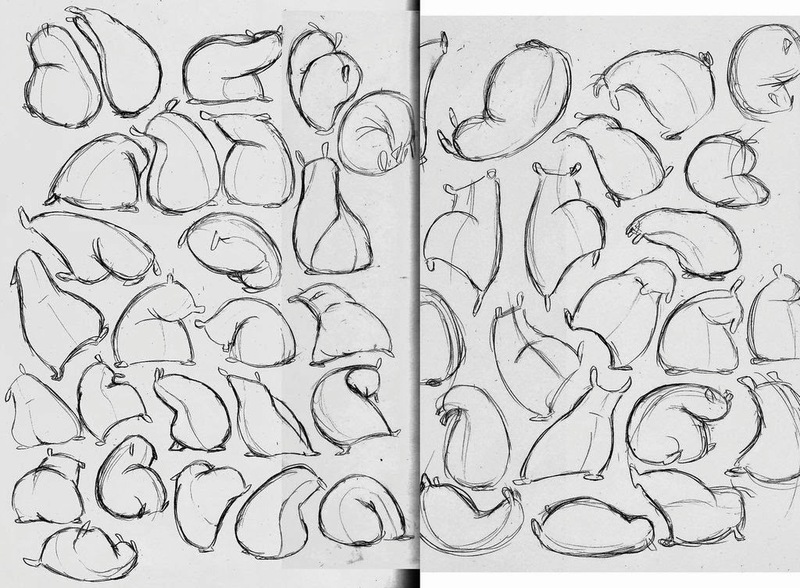 You will need to practice drawing your Sack character to figure out what kind of shapes and different poses help tell the story visually. 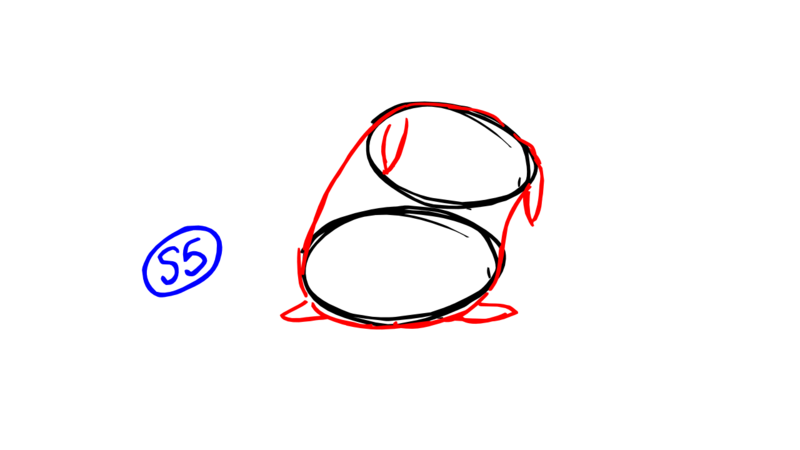 It also allows you to learn how to draw the character before you are drawing the animation. Feel free to see what other people have done, perhaps this will give you some simpler ideas. 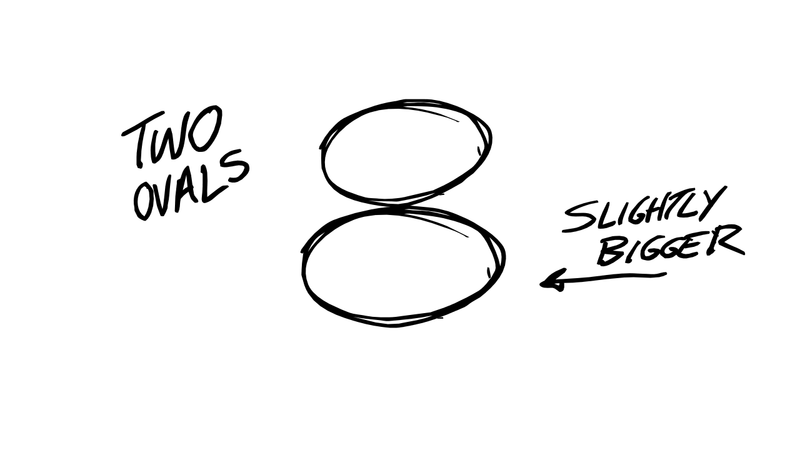 Here's a simple way to draw a sack using 2 different sized ovals and adding some lines around the shape. Remember, we are going to be animating a shape made of lines.